Cocal Leo&#180;s is one of the oldest properties at Uaymitun. Next door you will see a small Catholic Chapel unique in this area. The whole house is one floor ideal for all ages! 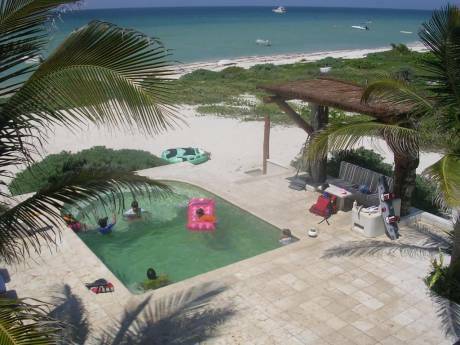 'Located in Uaymitún, a beach house by the sea, located 16.9 km from Progreso and 7 km of Chicxulub on the Yucatan Peninsula. A place where you can relax, enjoy nature and a very quiet and private, where you can enjoy the sand, beach breeze, palms, stars, spectacular sunrises and sunsets and fun at the same time. 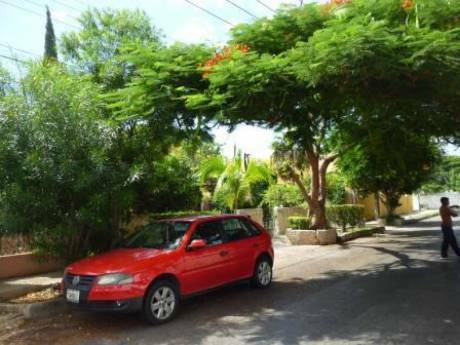 Coconut tree in the terrain make the property very private'. 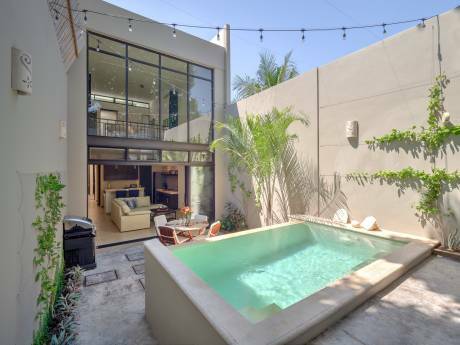 The 4 bedrooms, 3 bathrooms make this a perfect holiday for families and friends. A / C is not always necessary, all rooms have ceiling fans, themselves; are well ventilated with the cool sea breeze, you can still decide if you want some time here. Uaymitún the place with the most beautiful beaches in the area. The wide beaches are ideal for walking. Coral reef just in front of the property, excellent for snorkeling. Has a beautiful terrace where you can stay and enjoy the sea breeze and watch the sea, the boats pass by and fisherman in their boats. We spend month of July and August with our family in our house in Progreso every year and would like to exchange any other time. We also spend Holy week there. In the mornings we do line fishing just in front of the house. We also swim in the sea, (it is very safe) and have reunions with friends at the house. Boat fishing is one of our favorite sports. Once a year we like to travel with our family, including our 2 grandchild to go skiing. My husband and I also like to travel with another couple to Europe to diferente places. The locals at Chicxulub Puerto are very friendly and can be found here: laundry, telephone, Internet, market (meat: most services, seafood, vegetables, etc), video store, etc.